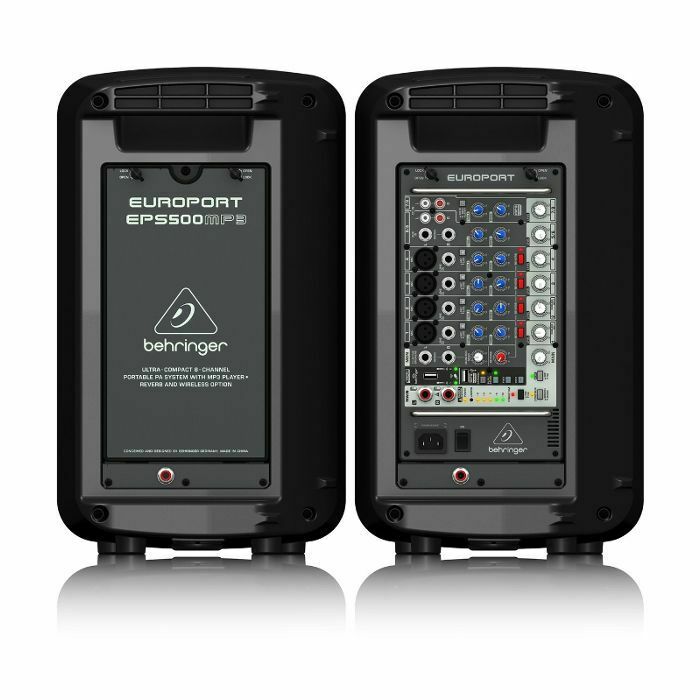 BEHRINGER Behringer EPS500MP3 Europort 8 Channel Portable PA System vinyl at Juno Records. Lines open in 1 hrs 33 mins. 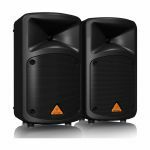 Looking for the ultimate, all-in-one portable PA system? 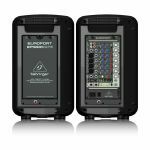 The EUROPORT EPS500MP3 sets up in less than five minutes and delivers articulate, high fidelity performance - yet weighs only 41.3 lbs/18.8 kg. Thanks to the custom-designed 2-way loudspeakers and detachable 8-channel, 500-Watt powered mixer with onboard mp3 player, Reverb and wireless microphone connectivity, the EPS500MP3 can easily fill a large-sized room with crystal-clear, vibrant sound - making you the star of your event! 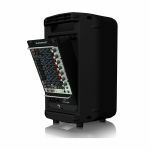 Since Behringer's founding in 1989, they have been recognized for manufacturing some of the best-sounding audio mixers, amplifiers and loudspeakers on the planet - so it should come as no surprise that the EPS500MP3 provides far superior sound quality than other products in this class. 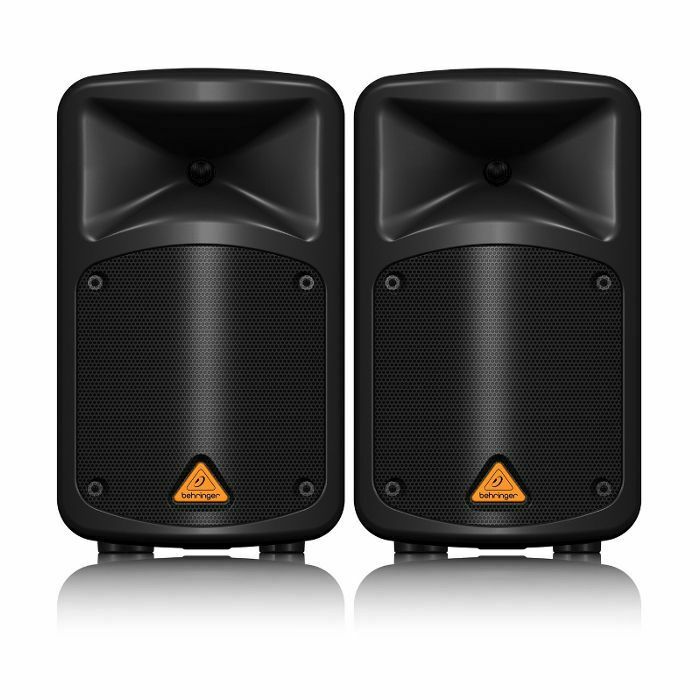 The two satellite loudspeakers, each with a custom-designed 8" woofer and 1" compression driver, provide the rich sonic performance you would expect from a much larger system. 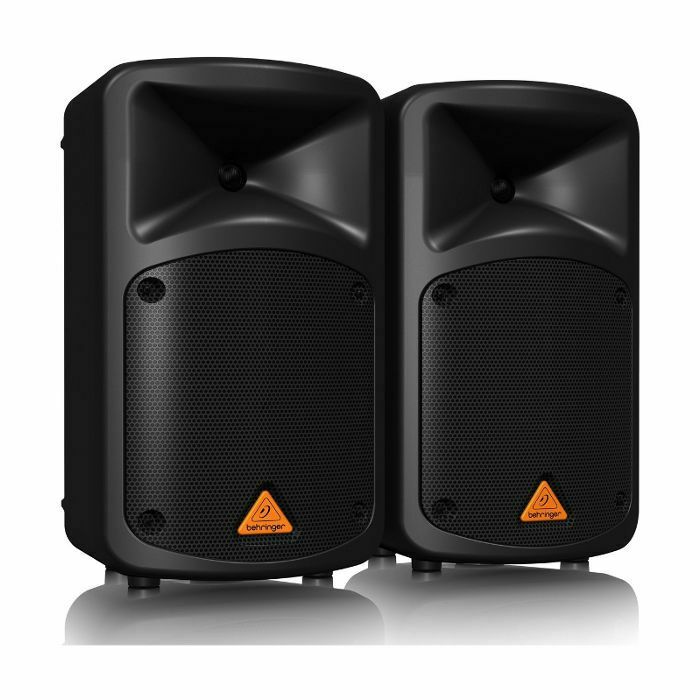 And with 500 Watts of stereo output, the EPS500MP3 has the power to deliver your message loud and clear, and keep the party going all night. Channels 1 - 4 of the detachable powered mixer feature our high-quality XENYX Mic Preamps, which have been praised by audio professionals for their transparency and massive headroom. What does this mean to you? It means you get a truly clean input signal without any unwanted coloration or distortion. Behringer have provided +48 Phantom Power, so you can even use studio-grade condenser mics - and given each input channel our highly musical 2-band EQ (Bass and Treble). System optimization couldn't be easier, just flip the Music/Speech switch to select the proper equalization for your purpose. They've also included a user-defeatable Voice-Over-Priority function that automatically lowers the stereo channels when you're on the mic - so all of your important announcements will be heard. One of the coolest features of the EPS500MP3 system is its embedded mp3 player. Just plug in your favourite playlist (via USB stick) and use the 4-button pad with its Random, Play/Pause, Rewind and Forward control switches. From break and background music to high resolution karaoke performance tracks, this MP3 player can handle it all.